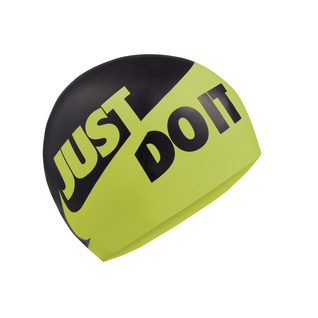 Dive in head first with the Nike JDI Training Cap. Comfortable silicone fabric removes the fuss of adjusting your cap after every flip turn with secure fit technology. The just do it logo is a great motivation tool.